The newest episode of Reappropriate: The Podcast is now available, and it’s one of my favourite episodes yet! In this episode, guest Cayden Mak (@cayden, 18millionrising.org) is back for another discussion on digital activism. In this episode, we specifically tackle the power and peril of Twitter as a tool for social change, and we discuss whether or not the use of Twitter could or should be considered radical and decolonial. You can view the episode by streaming it through YouTube above or by listening or downloading the audio only version using the mp3 player at the bottom of the post. You can also subscribe to my YouTube channel or subscribe to the podcast in the iTunes Store. Next episode: I’m excited to announce a joint podcast between myself and the podcasters of the Ladies of the Round Table (@LadiesADRadio), recording next week on October 13, 9pm EST / 6pm PST! We will be talking about feminism, sexism and nerd/gamer culture so please RSVP now! Reappropriate: The Podcast – Ep. 6 | Is Digital Activism “Real” Activism? Episode 6 of Reappropriate: The Podcast is now live! This episode features a great conversation between myself and Cayden Mak (@Cayden) of 18MillionRising. We talk identity formation in an increasingly digital age, as well as digital tools as one of several tools in an activist toolbox. We briefly touch on the Stephen Salaita controversy in relation to the perils of when digital activism crosses over into the real-world. You can stream the video and audio of episode 6 using YouTube above (subscribe to my channel to be notified of new episodes), listen to just the audio using the mp3 player below, or download the podcast for your iPod or iPhone through the iTunes Store. 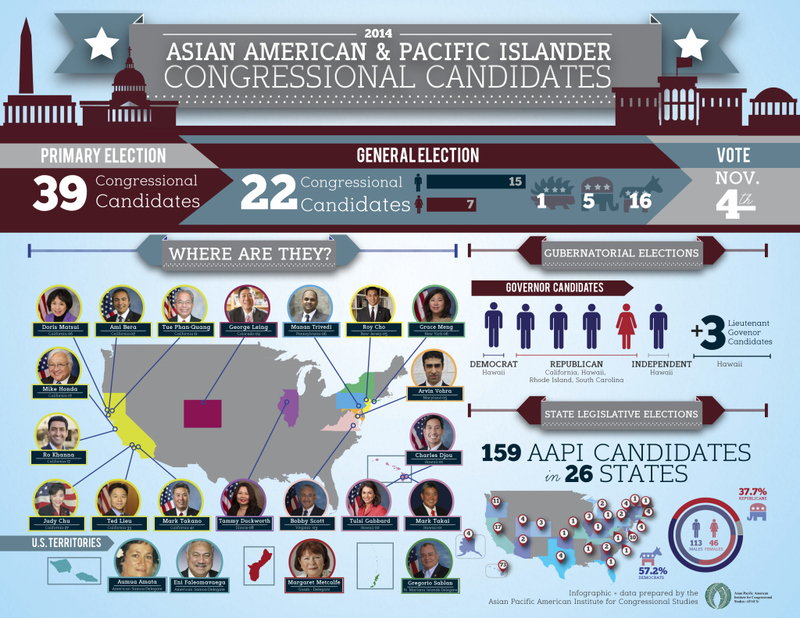 Next episode: Please join me in two weeks’ time when I hope to have a conversation about the third rail in AAPI politics: interracial dating. Guests are still being scheduled, so episode time and link are TBA. Posted on September 9, 2014 2 Comments on Reappropriate: The Podcast – Ep. 6 | Is Digital Activism “Real” Activism? Last week, I reflected on the devastatingly high price of our collective silence on the occupation of Gaza. As of today’s writing, 1355 Palestinians — most civilians and children — have lost their lives in nearly three weeks of violence. An additional 59 Israeli have also been killed. 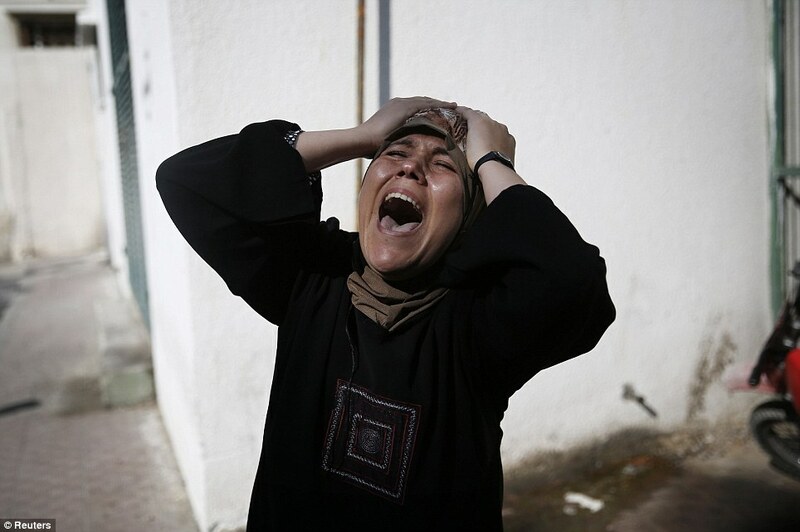 The individual stories coming out of Gaza are horrifying. Earlier this week, Gaza’s only power plant was targeted by Israeli airstrikes, leaving most Gaza residents with no electricity or running water. A United Nations school was struck, killing 16 Palestinians. Refugee camps and hospitals have not found themselves immune to attack. Efforts at a cease-fire have failed. Last week, I wrote about the moral responsibility of all humans to speak out against these horrific deaths, and how I find myself empathizing with the Palestinian civilians and children of the Gaza Strip who have borne the brunt of the attacks and suffered the greatest share of deaths in this conflict. I spoke about the “blood memory” of Asian Americans and Pacific Islanders, who know firsthand the devastating impact of war and colonialism which has throughout our history taken countless lives and ripped apart too many families. I spoke about the emotional responsibility of Asian Americans and Pacific Islanders, and indeed all humans, to not stand idly by while the death toll from this senseless slaughter continues to rise in the Gaza Strip. Today, 18MillionRising published a petition, and are urging Asian Americans and Pacific Islanders to sign it in solidarity with Gaza. 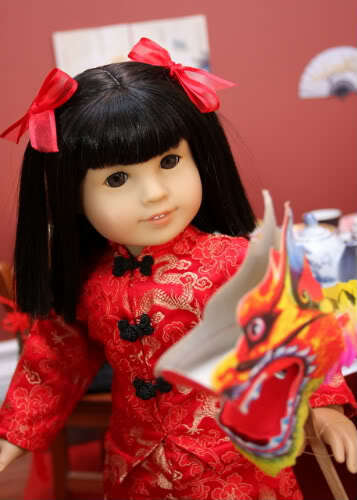 American Girl’s Ivy Ling doll, which is the doll line’s only Asian American doll and which is being discontinued. American Girl is a doll line started in 1986 by the Pleasant Company, and which was subsequently acquired by Mattel in 1998. Heralded as an attempt to infuse their dolls with progressivism and education, each of the 18″ American Girl dolls is sold with an accompanying booklet featuring a first-person narrative about a specific period in American history. Through the books and dolls, we learn about the American Revolution, slavery, and the Great Depression from a young female perspective. Although early dolls have drawn from historical periods, in 1995, the doll line expanded with a line of contemporary dolls: American Girls of Today which was later rebranded as Just Like You, and finally My American Girl (which, along with the few named doll characters, includes a customizable line of dolls). This doll line features over sixty dolls with a variety of hair colour and skin tones, and Mattel asserted that this would “represent the individuality and diversity of today’s American girls”. Parents, the company said, would be able to let “every girl create a truly special doll that’s just right for her”. Unfortunately, the truth is that My American Girl dolls really don’t represent the American girls of today. They aren’t just like us. They really do a terrible job of representing the individuality and diversity of today’s American girls.